Caroline Vout, Classical Art: A Life History from Antiquity to the Present. Princeton; Oxford: Princeton University Press, 2018. Pp. xiv, 362. ISBN 9780691177038. $39.50. "But is it Art?" the Devil keeps asking in Kipling's The Conundrum of the Workshops (1890) as he encounters the products of human creativity through the ages. For several decades now, archaeologists, and art historians have been debating the same question with regard to ancient Greek art. "Classical art is a battleground", as the author states in the first sentence of her new book, which is the product of a British Academy-funded research project under the title Classical Art: A Life History. An exhibition and its catalog entitled Following Hercules: The Story of Classical Art at the Fitzwilliam Museum in 2015 were early outcomes of the same project. The book's basic argument is that classical art became both "art" and "classical" over centuries of diverse engagements with ancient Greek visual culture (essentially monumental sculpture) from the Hellenistic period through to the present day. Covering this entire period, nine chapters are organized chronologically to outline this long process. Chapter 10 ("And the Moral of the Story…") is a short epilogue. Therefore, the book does not provide just another overview of Greek and Roman art, but it has not been conceived of as an exhaustive treatment of the reception of Greek and Roman art either, although the large amount of data assembled in this medium-sized, lavishly illustrated volume and the large sections for the endnotes (247-300), bibliography (301-342) and index (343-359) certainly make the book useful to scholars of the post-antique life of Greek and Roman art. However, more than anything else, Classical Art: A Life History is a book-long essay, "a biography or travelogue" (242), written in a lively, accessible language to advance a longue durée approach from an often very British perspective. Chapter 1 ("Setting the Agenda, or Putting the Art into Heritage") introduces the reader to the intended approach through the (well-chosen) example of the Tyrannicides Group, whose life history is illustrative of the multitude of processes that have shaped classical art across time.1 In Chapter 2 ("Finding the Classical in Hellenistic Greece"), Vout first reviews the evidence for aesthetic appreciation of images in the pre-Hellenistic world (20-29), but does so without giving similar attention to evidence for statues being treated as animate beings.2 Vout then turns to art in Attalid and Ptolemaic contexts (29-42), confirming the predominant view that it was in the Hellenistic period that earlier Greek art first became "classical" after its original functions and contexts had lost much of their relevance. In Chapter 3 ("Making Greek Culture Roman Culture") and part of Chapter 4 ("Roman Art, the Building Blocks of Empire"), Vout credits Romans with the resignification ("repackaging" or "domestication," 56) of Greek material culture into "art" and "heritage" that signified military, political, and economic power, as well as nobility and connoisseurship. To trace this process, the author reviews Augustan and Hadrianic sculpture but relies even more upon Polybius, Cicero, Livy, Plutarch, Velleius, Pliny the Elder and other writers, who provide insights into the Roman consumption of Greek art—even for decorative purposes. The decline of classicism during the Tetrarchy, as well as Christianity's break with ancient religions, instigated the reuse of ancient remains and the substitution of their ritual significance with aesthetic appreciation. After the foundation of Constantinople, "Christianity need[ed] the antiquity of 'pagan art' to sponsor its ambitious imperial narrative" (82). Vout then goes on to Venice and its claims on Roman imperial heritage after the Fourth Crusade (88 ff. ), giving Carolingian and Ottonian classicisms, engagement with antiquities in medieval Pisa and Rome, and Frederick II's proto- Renaissance in southern Italy and Sicily only brief mentions, perhaps inevitably given the available space. Some attention could have been given, however, to the multifaceted Byzantine classicisms after Theodosius II,3 particularly during the Macedonian and the Palaeologan dynasties.4 It is perhaps misleading to call each of these medieval phenomena a "renaissance," as earlier researchers often did, but taking them into account nevertheless makes Giotto and the Italian Renaissance after 1400 appear more similar to a maturation than a rebirth. In Chapter 5 ("Reviving Antiquity in Renaissance Italy"), the treatment is equally selective, but does not fail to highlight women collectors (109-111) as a markedly new phenomenon. Here, Vout's main position is that in the Renaissance, a particularly visual relationship with antiquities developed into a habitus, paralleled by searching for, and collecting, ancient works of art on an unprecedented scale—Poggio Bracciolini, for example, speaks of his passion for antiquities as a "disease" (101). Moreover, ancient art was now critically studied against the background of ancient literature, thus enhancing the fame of celebrated works, the rush for new discoveries, and, more generally, the status of ancient art as a liberal art. Other Renaissance novelties are that "ancient sculpture became… the template for modern figurative art" (104) and that "an association with the antique has become revelatory of character" (107), as implied by a series of portraits depicting the sitter's active engagement with ancient or classicizing sculpture. Chapter 6 ("European Court Society and the Shaping of the Canon") explores how the new relationship with antiquities spread to the rest of Europe. Echoing Thomas Dandelet's view that the diffusion of the Renaissance in France, Britain and Spain was primarily motivated by imperial ambitions,5 Vout considers the new passion for exceptional antiquities to be part of an imperial policy that naturally led to competition with Rome's grandeur (125-126, 130), even to a search for the distinctly Greek origins of Roman glory (127-130). François I and Louis XIV of France, Bishop of Paris Jean Du Bellay, Mary of Hungary, Charles I of England, Earl Thomas Howard of Arundel, Philip IV of Spain, Duke Pedro Afán de Ribera, and a number of writers and artists, including Rubens (132), stand out as key figures. However, it seems doubtful that Franciscus Junius had already marked "the beginning of the systematic study of classical art" (131), given the focus of his De pictura veterum (1637) on literary sources rather than on material artifacts. In Chapters 7 ("'Neoclassicisms' and the English Country House") and 8 ("Seeing Anew in the Nineteenth Century"), Vout's intention is to show how "classical art is historicized for the first time" (149), but then she adopts a distinctly British perspective, which sheds more light on the construction of Englishness in the eighteenth and nineteenth centuries: young aristocrats on the Grand Tour having their classicist portraits painted or sculpted, public collections emerging as a novel institution, and a 'war of styles' raging between the Classical, the Gothic, the provincial Roman, the prehistoric, and the colonial (151-162). 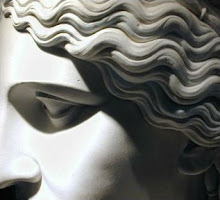 Efforts to bring the classical into real life, as distinct from the Neoclassical pursuit of ideals beyond physical reality (163-165), include Emma Hamilton's embodied performances, collections of antiquities in connoisseurs' residencies, and cast collections of ancient sculpture mixed with contemporary works in Neoclassical architectural settings (166-184). In the later eighteenth century, excavated artifacts, the emergence of archaeology, the publication of foundational material studies, and the opening of antiquity to wider social groups gradually changed classical art. Greek art was distinguished from Roman. Modernist notions of scientific method, and the spread of photography, inspired comparative art-historical analysis and a shift of interest from artistic to historical value. Additionally, laws in the newly founded Mediterranean states prohibiting the export of antiquities encouraged a shift from material gain to knowledge for its own sake, according to the author. Chapter 9 ("The Death of Classical Art?") explores how classical art cut its way through the twentieth-century shift of priorities in leisure activities and education, through totalitarian regimes and destructive wars, as well as through the demise of Western superiority narratives and the deconstruction of aesthetic norms (220-230). Classical art now finds itself amidst fierce controversies regarding the trade in antiquities, the repatriation of cultural property, the publication of unprovenanced artifacts, and the validity of art-historical approaches to ancient material culture. After a section summarizing the 'rediscovery' of originality in Roman art (230-235), a discussion follows on the Mougins Museum of Classical Art on the French Riviera (235-240), which can be claimed to embody a diachronic approach to classical art similar to Vout's approach. Toward the end, the book slides into a "yes-but" apology for the notion of classical art (240-242). Yes, classical art can construct extremely selective, even distorted representations of ancient realities, and can be exclusive and divisive, but this is how interest in it has survived to the present day; and yes, "the admiration and acquisition of Greek and Roman antiquities have always been ethically problematic," (241) but crucial for shaping classical art's status. How far can this reasoning go before starting to trivialize, or even justify, unethical practices? Some readers might think that Vout occasionally does go that far when, for instance, she prioritizes "display contexts" over the primary archaeological context (12-13, 15, 192), or when she compares J. Paul Getty's antiquarian activities with the ancient trade of Attic pottery (227), Marcellus' dedication of Greek spoils to Honos and Virtus (52-53) and other similar ancient practices. On the other hand, Vout does not fail to address the "elitism inbred in classical art's life history" (65), "Britain's investment in Rome as a model for its own imperialist ambitions" (65), museums being intertwined with the economic elite (238), and other issues that make classical art history the battleground that it is. In the eyes of this reviewer, the greatest merit of the book as a whole is in demonstrating how much more the history of classical art is about the relatively recent European past than it is about ancient Greece, and how perfectly the history of classical art can work without original Greek material. However, these insights are also what makes any claim that the history of classical art has on the systematic study of ancient Greek visual culture so meaningless for archaeologists and anthropologists. By shifting the focus from the ancient Greek culture proper to its afterlife in post-antique Europe, Vout not only redefines the history of classical art as a branch of the history of European art and culture, but also directs the field onto the path paved for contemporary art studies by postmodern artists in the 1960s—for instance, by Joseph Kosuth, whose installation One and Three Chairs (1965) featured a manufactured chair, its photograph and a dictionary definition of the word "chair" side by side as equally qualified artworks. In a similar manner, Andy Warhol's Brillo Box (1964) famously inspired Arthur Danto to suggest that, rather than a special aesthetic quality, all an artwork needs is a meaning —any meaning—and an "art world" to validate that meaning. In all these senses, the book "revolutionizes our understanding of what classical art has meant and continues to mean", as is claimed on the dust-jacket. Could this "revolution" eventually lead to a clearer conceptual and methodological distinction between the archaeological study of ancient Greek visual culture and the art-historical study of the post-Hellenistic classical tradition? Or could this "revolution" merely prove to be "postmodern fairy dust over the traditional objects of classical archaeology",6 leading the discipline no further than merely placing Charles Townley, Lawrence Dundas, or even Lord Elgin on the pedestal on which traditional approaches had placed Myron, Pheidias, Polykleitos, and their societies? This remains to be seen. 1. See, now in English translation, Vincent Azoulay, The Tyrant-Slayers of Ancient Athens: A Tale of Two Statues, transl. by Janet Lloyd, Oxford 2017 (BMCR 2018.11.15). 2. Deborah Steiner, Images in Mind: Statues in Archaic and Classical Greek Literature and Thought, Princeton 2001; Angelos Chaniotis, "Ἡ ζωὴ τῶν ἀγαλμάτων", Praktika tes Akademias Athenon 89 B, 2014, 246-297. 3. Anthony Kaldellis, The Christian Parthenon: Classicism and Pilgrimage in Byzantine Athens, Cambridge 2009 (BMCR 2009.12.18); id., Hellenism in Byzantium: The Transformations of Greek Identity and the Reception of the Classical Tradition, Cambridge 2007. 4. See, for instance, Georgia Xanthaki-Karamanou (ed. ), The Reception of Antiquity in Byzantium, with Emphasis on the Palaeologan Era, Athens 2014, in particular the contributions by Melita Emmanouil, Vassiliki Penna and Ioanna Spiliopoulou. 5. Thomas James Dandelet, The Renaissance of Empire in Early Modern Europe, New York 2014. 6. James Whitley, "Agency in Greek Art", in: Tyler Jo Smith, Dimitris Plantzos (edd. ), A Companion to Greek Art vol. II, Malden and Oxford 2012, 595. Thibaud Lanfranchi, Les tribuns de la plèbe et la formation de la République romaine, 494-287 avant J.-C. Bibliothèque des Écoles françaises d'Athènes et de Rome, 368. Roma: École française de Rome, 2015. Pp. xi, 822. ISBN 9782728310913. €60.00 (pb). Thibaud Lanfranchi's book—a revision of his 2012 doctoral dissertation — adds to the growing body of recent work on Roman Republican political institutions.1 The first in-depth treatment of the early tribunes since Niccolini's 1932 comprehensive study of the tribunate, it focuses first on the early tribunes' social history (Chapters 1-3) and influence on the Republic's development (Chapters 4-6), then on disambiguating literary stereotypes from historical reality (Chapters 7-8).2 It includes appendices (653-96), bibliography (697-774), tables comparing comitial laws and plebiscites and synthesizing prosopographical evidence (775-814), and a T.O.C. (815-22). A supplementary website (Tribuns de la Plèbe) provides concise articles on individual tribunes and their gentes, a table of plebiscites (493–287 B.C.E. ), and another bibliography. In his "Introduction" (1-30), Lanfranchi provides brief historiographies of political philosophy, the tribunate, and early Rome, then surveys the evidence (literary, archaeological, epigraphic, numismatic) and disciplines (historiography, prosopography, onomastics) necessary to reconstruct the early Republic's social and political context. His thesis is that the early tribunate constituted not merely a negative or resistive counterforce to consular power but—combined with the plebs—an autonomous political power that played a crucial role in shaping Roman society and political institutions. In Chapter I, "Un corpus problématique" (31-86), Lanfranchi discusses the problematic evidence for the tribunate's first two centuries, the credibility of tribunician fasti, and sources of historical information (elogia, oral histories, libri pontificales, official records of plebiscites) used by ancient authors to (re)construct early Roman history. He argues that one may trust the "structural facts" but not the "narrative superstructure" of 1st-century accounts of 5th-century events (49). After considering evidence for the tribunate's foundation and the original number of tribunes (six names survive in different sources), he settles on the traditional account of a two-man tribunate founded in 493 that increased to four in 471, then ten in 457 (66-71). He provides a chart synthesizing his prosopography of tribunes (on the website), indicating who is "certain," "possible," "impossible" (patricians), and "invented" (inexplicably, he includes four aediles of the plebs) (81-83). In Chapter 2, "Qui étaient les tribuns de la plèbe et leurs lignées?" (87-121), Lanfranchi attempts to demonstrate that most early tribunes, or their families, were of recent, non-Roman origin. Given ancient commentaries on early Roman society's heterogeneous origins and willing integration of foreign elites (102-8) and powerful gentes (105, 119), his hypothesis seems worth exploring; ultimately, however, the argument is unconvincing. It lacks well-defined parameters of, e.g., what constitutes "recent," or a consideration of how Roman responses to those of "non-Roman origin" might have changed over time. The methodology is also problematic. Lanfranchi uses mainly epigraphic evidence to locate the origin of a "lignée tribunitienne" (a designation applied to all gens with at least one tribune to their credit) by matching a tribune's gentilicium to its equivalent in Etruscan, Umbrian, Oscan or Latin (non-Roman) inscriptions (Tableau 2: 775-814). Only a few inscriptions cited are earlier than, or contemporary with, the tribune with whom they are correlated.3 The remaining inscriptions were produced one to three centuries (or more) after the tribunes in question, suggesting a plausible counter-hypothesis: that they represent the diffusion of a gentilicium through emigration, intermarriage, or increased landholdings. Finally, sample size: of 1,800+ tribunes who served from 493 to 287, the sources mention 108 (6%) by name. Lanfranchi rejects 30 as "impossible" or "invented," leaving 78 (4.3%), a small sample inherently biased toward tribunes considered noteworthy by ancient historians (81-84). Clearly aware of these issues, Lanfranchi downplays an early claim that sufficient evidence exists to "confirm that the majority of tribunician lines had recently emigrated from neighboring regions" (96, cf. 646) by later cautioning that demographic data are difficult to obtain (118, cf. 88-98) and his calculations "très hypothétique" (120). In Chapter 3, "Les tribunes de la plebe: sociologie et destin politique" (123-56), Lanfranchi employs three types of literary evidence to demonstrate that most early tribunes were of elevated socio-economic status (123), never from the "plebs sordida" (646): "vocabulary employed by the sources," e.g., "primores plebis" or "primores civitatis" (124-32); mentions of patricio-plebeian marriages (133-46); and notices about the military exploits of tribunes who had served in the cavalry or infantry (146-56) (these last underpin his belief that the First Secession and lex sacrata reflect a militaristic orientation: 210, 258-81). He extends his argument with additional, sometimes debatable, evidence: the eighteen plebeian consuls listed in the fasti before the closing of the patriciate (ca. 445), patrician tribunes, tribunes with clientela (157-90) and tribunes who attained magistracies and priesthoods, mostly after 367 (196-206). Aside from anecdotal evidence derived from "narrative superstructure," his argument is weakened by the same small, inherently biased sample. Lanfranchi also dismisses evidence concerning wealth qualifications for fifth- or fourth-century tribunes that could provide nuance to his argument, i.e., the belief of some Roman historians that 5th-century tribunes were elected from each of the five census classes (Ascon. 77C, 493 B.C.E. ; Livy 3.30.7, 457 B.C.E.). If their statements reflect an actual requirement, even a later one retrojected to the early tribunate, one must allow that some, perhaps many, tribunes were of relatively moderate means. Thus, Lanfranchi's impressionistic image of a tribunate composed mostly of prestigious plebeians, while intuitively plausible, cannot be extrapolated with confidence to "most tribunes" between 493 and 287, the vast majority of whom remain anonymous, if not altogether lost to history. In Chapter 4, "Pouvoirs tribunitiens et plébiscites" (213-55), Lanfranchi—believing that 5th- and 4th-century plebiscites were reasonably well recorded because of archival practices established by 449—proposes to reassess the contribution plebiscites made to Rome's evolving political system (213-14). Characteristically, he provides contextualizing discussions on differing sources of tribunician and magisterial authority (lex sacrata, auspices), the influence of collegiality on political activity, and early plebisicites, which, though lacking the force of law "en l'absence d'interventions des structures du populus" (239), carried political weight as formal expressions of the plebs' will (214-40). He next assesses known plebiscites and rogations for 493-287 thematically and chronologically, comparing them to contemporary leges to highlight their different evolving objectives (241-54). He notes that after 367, as plebeian elites increasingly gained access to magistracies, priesthoods, and status within the new patricio-plebeian nobilitas, rogations and plebiscites aligned increasingly with senatorial concerns (254-5). In Chapter 5, "Plébiscites et évolution politique de Rome (Ve–IVe siècles)" (257-362), Lanfranchi scrutinizes plebiscites concerning the tribunate or contributing to the formation of the Classical Republic. Returning to the lex sacrata and modern theories on whether it was a law, proto-plebiscite, or oath, he concludes that it was an oath heralding a nascent social contract that "would not be signed" until the fourth century (258-281). He also explores Volero Publilius' 471 plebiscite freeing plebeian elections from patrician-influenced comitia curiata by ordaining that plebeians would vote in a newly created comitia tributa (the particulars of its creation, composition, and operation are unclear) (281-308). After examining subsequent plebiscites instrumental in opening to plebeians magistracies and religious offices, reconstituting the post-Decemvirate magistracies, and regulating political competition (cursus, electioneering, ambitus) (308-52), Lanfranchi affirms "l'extraordinaire influence des plebiscites dans le développement du système politique romain" (360-2). In Chapter 6, "Les plébiscites agraires et sociaux des tribuns de la plèbe" (363-448), Lanfranchi turns to the social-historical context of plebiscites meant to uplift the plebs, beginning with the scanty evidence for early land distribution, ownership, ager publicus, colonization, and land confiscations (363-4). He surveys tribunician agrarian rogations from 484 (364-73) to 367 (363-81); contextualizes them with literary sources and archaeological data illuminating contemporary legal, economic, and social aspects of landownership (381-418); maps out a significant chronological correlation between reported epidemics, grain shortages, and colonization efforts and agrarian plebiscites (419-33, chart 430-2); and concludes that the Licinio-Sextian plebiscite de modo agrorum solidified decades of tribunician effort to resolve land-use issues (419-38). After surveying other important socio-economic plebiscites—Aventine land distribution, weights and measures, interest rates, debt-slavery (438-445)—Lanfranchi provides a sweeping review of Chapters 1-6, concluding that the cumulative evidence proves the immense significance of the tribunes and their work in the early Republic (445-7). In Chapter 7, "Les procès tribunitiens" (449-548), Lanfranchi concludes that ancient authors employed "historiographic tropes" and paradigms to provide precedents to explain later judicial processes, the tribunes' "capacity to act in the judicial field," and their "eventual recourse to capital punishment" (522-3). To reach this conclusion, he surveys a dozen accounts of tribune-led prosecutions (Coriolanus to Manlius Capitolinus) (450-84), rejects several as unlikely, then conducts a structural analysis of historiographical tropes in the remaining accounts. He then examines paradigms (narrative and juridical, political, contextual, punitive) (485-95), literary motifs, elaborations, doublets (495-509), and one final device, that of the "tribunician orator" who reflects Late Republican models rather than contemporary practices (509-20). Lanfranchi also surveys modern scholarship on interlinked issues of tribunician trials, penal procedures, and provocatio ad populum. He argues that tribunes, endowed by the lex sacrata with the power to impose the death penalty, could not justify exercising it while simultaneously protecting citizens' rights to appeal against "magisterial arbitrariness," so devolved this power onto the assemblies while developing an alternate system of financial penalties (523-43); and, further, that the "structural facts" demonstrate the influence of early tribunes' on Rome's evolving judicial system (548). In Chapter 8, "L'image des tribuns de la plèbe" (549-644), Lanfranchi attempts to disambiguate the actual work of early tribunes from negative literary stereotypes by systematically identifying and analyzing recurrent tropes found in post-Gracchan sources. He focuses on the diverging interpretive strategies of our two main sources (549-629): Dionysius, influenced by Polybian political theory, who portrays tribunes as agents in creating Rome's balanced constitution, and Livy, "dependent on Roman political vocabulary and its connotations," who uses tribunes and their activities to reveal the tensions between patricians and plebeians (651). He analyzes three categories of stereotypes: political (demagogues, despots: 551-74), transgressive (574-84), and indignitas (restricted authority, insurrectionists: 584-98). He also includes "minority positive view" stereotypes, which, he argues, are survivals from pre-Gracchan historiography and evidence for the tribunes' "real historical activity" (598-603, 629). Finally, to demonstrate how an author might construct an "identité gentilice plébéienne" (629-40), he shows how Livy applied similar characteristics and challenges to successive tribunes of the gens Icilia to fashion a discernible "Icilian" ethos and "identité … tribunitienne" (630-3). He weakens his argument, however, when reconstructing an "identité gentilice plébéienne" for gentes represented by only one tribune by scouring MRR for those sharing the tribune's gentilicium and cherry-picking thematic career elements that correlate with the tribune's activities (633-40). He concludes that the historiographical rapprochement between tribunes of the Early and Late Republic arises from historians taking later tribunes as their interpretive model and 2nd/1st-century tribunes modeling their political activity on literary presentations of early, revolutionary tribunes (640-44; cf. Plut. C. Gracch 3.3). In sum, Lanfranchi's immense and complex book, although uneven in its treatment of topics and not always convincing—especially when attempting to reconstruct a social history of the early tribunes—nevertheless successfully demonstrates the tribunes' crucial role in shaping the Roman Republic. It provides much food for thought and will undoubtedly stimulate further research in this area. 1. See Kaj Sandberg, BMCR 2018.10.53 notes 1-2. 2. Giovanni Niccolini, Il tribunato della plebe. Milan 1932. More recently: Jochen Bleicken, Das Volkstribunat der klassischen Republik. Studien zu seiner Entwicklung zwischen 287 und 133 v. Chr., Munich 19682; Lucas Thommen, Das Volkstribunat der späten römischen Republik (133-43 B.C.E. ), Stuttgart 1989. 3. Appendix II, 679-695. The Flavii, whose name appears in 5th-century Etruscan and Oscan inscriptions from Nola (684), produced three late-4th century tribunes (83); Ovinii appear in Oscan inscriptions (688-9) contemporary with Ovinius, tr. pl. 313 (83); Poetelii appear in a mid-5th century Etruscan inscription from Felsina (690) contemporaneous with Poetelius, tr. pl. 442, 441 (83). 4. Harriet Flower, Roman Republics, Princeton 2009. Clare Coombe, Claudian the Poet. Cambridge: Cambridge University Press, 2018. Pp. xii, 242. ISBN 9781107058347. £75.00​. Claudian has been admired and reviled in equal measures in the past and this book is a very impressive attempt to take a more nuanced and balanced look at what is by any standards remarkable poetry. This book accepts that Claudian generally prizes ecphrasis over narrative—a style that has led some to question the quality of verse that appeals to the 'eye' rather than to the 'heart' (p.3). His verse has been used by historians seeking details of the crucial period from 395–405 but Coombe points out that this approach is not going to please either side: for the historian it is like using Aeneid 8 to map out the battle of Actium, while for the literary critic it is to miss the point of the poetry. Claudian has been written off in some quarters as no more than a political metaphrast, working up the res gestae of the half-Vandal Stilicho into baroque verse. Claudian, Coombe argues, was 'a professional poet' (p.15) for whom the 'patron's presence is clearly of greater importance than the inspiration of the Muse'. Coombe follows Nauta's definition of the asymmetrical nature of the poet-patron relationship—although their arrangement was in fact reciprocal: Claudian gained status and a wife (a protégée of Stilicho's wife Serena), while Stilicho gained poetic publicity in a world where 'everyone was reading Claudian' (a remark of Alan Cameron, quoted p. 31). The question then is (simply) whether such 'professional poetry' can be any good, and this is the issue that this book tackles head on and goes some way to answering. Modern readers are uncomfortable with poetry-as-panegyric, and yet it was much in evidence in the ancient world from Pindar through Virgil and also Lucretius, whose own panegyrics of Epicurus (e.g. 1.62–79, 3.1–30) match Claudian's combination of hero-worship and poetic programme. Coombe accepts that much of Claudian is propaganda, putting a positive spin on Stilicho and demolishing his enemies. Attack is a good form of defence, and the first chapter (In Rufinum: Heroes, Monsters and the Universe in Balance') looks in detail at the In Rufinum. Rufinus is mythologised and made out to be the child of the Furies but this does not 'distance him from culpability' (p. 54) and the exaggerated evil of the enemy only enhances and develops the heroism of the gallant Stilicho; Claudian even gets close to suggesting that there is some sort of Empedoclean balance between good and evil embodied in the two men (p. 60) although Coombe is right to see this more in terms of Stoic cosmic justice than of Presocratic Physics—the destructive force of Allecto, for instance, is well put as rerum uexare fidem (1.65). Claudian's version of Rufinus is too bad to be true, of course. Rufinus ends up in hell and the poem ends with lip-smacking relish over his punishment there conveyed in glorious Latin that affirms the reestablishment of order after chaos. Chapter Two ('The Universe ready to be Destabilized') goes further in examining the cosmic imagery of the political poems and shows how topoi such as that of the Golden Age contribute to the idealising urge. It is suggested that Claudian the poet is in some ways the poetic equivalent of the creator-figure of nature, both reflecting and mirroring the foedera of the 'real' world. Proserpina's tapestry, for instance, in de raptu Proserpinae is seen as (p. 80) a mirror and a depiction of the cosmic tapestry it shows: clementia is a force that binds the world together and that makes the world habitable. Nature is for Claudian teleological, forcing harmony onto chaos, as in the powerful imagery of the Cave of Time (de consulatu Stilichonis 2.424–50). Chapter Three ('Monsters ready to destabilize the Universe') is largely concerned with the imagery of gigantomachy. Coombe shows how in this poetry the giants are earth-born beasts, transgressive barbarians, and hybrid creatures. Giants are used as a symbol of recurrent chaos: they are buried but can always re-emerge from the earth. All this is fanciful mythology and it is difficult to see how a poet seeking to score political points in the 'real world' could make effective use of them, but Coombe inventively suggests that Claudian 'contemporizes' gigantomachy in his In Eutropium: 'just as the giants in the Gigantomachia are constructed as a reiteration of their Titan brothers, so the contemporary barbarian threat carries with it the memory of all previous enemies of Rome, as well as the weight of the mythological context.' (p. 114–5). Claudian also filters his poetry through the device of a poetic dream in the preface to the Panegyricus de sexto consulatu Honorii Augusti, which helps to situate the imagery of giants within a context that is both real and unreal, allowing him to indulge his poetic fantasy while keeping at least one foot in the real world. Chapter Five ('Not quite the Hero') qualifies the panegyric with what we could call 'further voices', showing places where the imagery is ironic rather than corroborative or even downright mocking. The best example of this is the hymn (Epithalamium de nuptiis Honorii Augusti) to celebrate the wedding of the young emperor Honorius with Stilicho's daughter Maria. The hero of this poem is not the bridegroom but his father-in-law Stilicho, and the young man is sent up by comparison with Achilles. The mockery is double: we are invited to compare (and therefore contrast) Honorius with Achilles, and the Greek hero himself is shown in an unflattering light wearing female garb and abusing Deidamia. Mockery of bridegrooms is common in wedding hymns—see for instance Catullus 61.134–6, not mentioned by Coombe—and ribald humour about the comparative sexual potency of a weak son and his stronger father is also found elsewhere (e.g. Catullus 67.19–28). This chapter does open up the possibility that Claudian's poetry was able to vary its style away from simple panegyric towards more humorous and lighter methods of composition. Chapter Six ('The Deceitful Poet') returns to the more general themes of the Introduction with a reasonably successful attempt to explain how this highly poetic imagery might be seen as persuading people to think (more) highly of the honorandi without losing poetic face. Where propaganda goes over the top it undermines its own message, and Coombe argues that Claudian goes out of his way to break the 'fourth wall' between poet and audience by his self-conscious 'double deception'. Poets can and do tell us that they are deceiving us (e.g., Lucretius' honey on the cup (1.941)) but the panegyrist wishes to convince us that his poetry is in fact true, 'albeit couched in epic terms' (183). At this point the issues can become clouded: the poet acknowledges his deception while expecting us still to believe him. One way this is rescued is to see (as Coombe does) the poet as ringmaster of his own circus, showing off the power of song. This could be taken further: self-referencing irony has the capacity to distance the author from his work and also distance the author from his message, but it also puts the poet between his work and his audience, peeping round the curtain and winking knowingly at his readers who are expected to be impressed at his skill. For Coombe, however, destroying the fourth wall 'not only reveals the artifice, it brings the horrors and heroes of the story-world flooding into the world of 'real life' (205). By opening up the 'truth' of this deception the poet manages to make his work more and not less real, but above all it foregrounds the poet as the creator of his poetic universe and a glorious cultural part of the regime that he is celebrating. Claudian draws the audience into his poetry by exploiting their expectations and 'laudandi become heroes and Rome's enemies are monsters and villains' (208). This book is elegantly written and produced. It bears the signs of the Ph.D. thesis from which it was born in terms of argumentative structure and style, but it is none the worse for that. The style is splendidly jargon-free and accessible to readers with no Latin and no previous knowledge of Claudian. I found myself wanting to add more intertextual references—Claudian was a poets' poet and he alludes to earlier work more than Coombe perhaps acknowledges,2 but the book as it stands reads as a concentrated reading of a major poet on his own terms and excessive referencing might have diluted that effect. 1. Coombe also claims (p. 144 n. 50) that Tiphys 'does not feature greatly' and is 'missing from Ovid's retelling in Met.7'—but it is worth noting that he is mentioned by Ovid at Heroides 6.48, Ars Am. 1.6–7, Tristia 4.3.77. 2. For instance, Claudian spells out (In Rufinum 1.283–4) how even Hercules did less for mankind than Stilicho, drawing on Lucretius 5.22–54 where Hercules' limited benefits to mankind are dwarfed by those of Epicurus. 3. Page 23 should read 'has proved it [is] possible to read': and on p. 216 Boyle's book is referenced according to its first title, which included the phrase Flavian Epicist to Claudian, but should be credited as The Imperial Muse: Ramus Essays on Roman Literature of the Empire to Juvenal through Ovid. Francesco Berardi, La retorica degli esercizi preparatori: glossario ragionato dei Progymnásmata. Spudasmata, 172. Hildesheim; New York: Georg Olms Verlag, 2017. Pp. 346. ISBN 9783487155951. €58,00. Esta nueva aportación a los estudios sobre retórica escolar, muestra del interés que siguen despertando los Progymnasmata, tiene una organización radicalmente diferente a los libros publicados en los últimos decenios sobre estos, que han sido traducciones a las diferentes lenguas modernas precedidas de amplias introducciones. La aportación de Berardi constituye, por consiguiente, una novedad por su enfoque, como se explicará en las líneas que siguen. La obra consta de varias partes introductorias. Comienza con un prefacio a cargo de la profesora Maria Silvana Celentano que explica cómo se gestó la obra. Esta originariamente se concibió como un glosario online sobre la doctrina retórica contenida en los Progymnasmata, con un resultado que pronto superó las primeras expectativas. Siguen unas páginas a cargo del autor en que se explica la organización de la obra y se subraya la importancia y potencialidad de los Progymnasmata, no solo por su capacidad de formar a la persona (en este caso al hombre) en los fundamentos de la retórica, sino también de dotarlo de una gran cultura y una sólida formación moral. El autor vuelve a estos aspectos en diferentes momentos del libro, dando ejemplos de ellos (por ejemplo a propósito del ejercicio de εἰσφορὰ νόμου). A continuación sigue la "Introducción" propiamente dicha (pp. 15-25). En ella justifica la elaboración de este glosario por el interés actual hacia los ejercicios preliminares y por los múltiples enfoques desde los que se pueden abordar, más allá de los puramente retóricos, ya que constituyen un curso completo para adquirir competencias de comunicación oral y escrita, para la educación cívica y moral del individuo (p. 15). Los ejercicios se revelan así como un instrumento muy útil para asimilar la doctrina y para ser capaz de producir textos de manera autónoma, como una propedéutica para las declamaciones; asimismo, sirven como una lente con que leer los textos literarios porque permiten conocer sus procedimientos compositivos, especialmente de géneros como la novela, la historiografía y la poesía épica de la época imperial romana. Señala Berardi que otra aportación importante de los Progymnasmata es que a veces presentan una doctrina autónoma de la tradición retórica e introducen términos técnicos y mecanismos expresivos inéditos, como la écfrasis o la comparación que, aunque practicados desde los orígenes en la literatura, no habían sido antes objeto de reflexión (p. 18). En las páginas que siguen (31-38) el autor realiza un repaso por la historia de los ejercicios preliminares, desde las primeras menciones y testimonios papiráceos y epigráficos helenísticos hasta la constitución de un sistema organizado en época imperial que se conservó intacto en época bizantina y llegó hasta la Edad Moderna. Describe los cuatro manuales griegos conservados (Teón, Ps. Hermógenes, Aftonio y Nicolás de Mira); en particular, subraya el carácter diferente del de Teón, por recoger un estadio más temprano, con un sistema in fieri, más influido por las escuelas gramaticales y destinado al profesor más que al alumno. El glosario propiamente dicho ocupa el grueso de la obra (pp. 41-295) y consta de 39 entradas, organizadas alfabéticamente por su nombre en griego, al que siguen el término equivalente en la tradición latina, una traducción al italiano y otra al inglés, que dice reproducir, cuando procede, la de G.A. Kennedy, Progymnasmata. Greek Textbooks of Prose Composition and Rhetoric (Atlanta, 2003), aunque en algunos casos no coincide (por ejemplo traduce ἐγκώμιον por praise, cuando encontramos encomion en Kennedy). Estas entradas corresponden a lo que el autor denomina "términos técnicos", y se incluyen no solo los trece ejercicios preliminares, sino otros términos que tienen un valor y función específicos en la retórica clásica y, más concretamente, que se definen y utilizan en los cuatro manuales progimnasmáticos en relación con los ejercicios propiamente dichos. Por destacar los más importantes, encontramos algunos relacionados con aspectos gramaticales (κλίσις, ἑλληνισμός), otros con actividades practicadas en las aulas (ἀκρόασις, ἀνάγνωσις, παράφρασις), otros con las virtudes de los ejercicios (πιθανότης, συντομία, σαφήνεια, πρέπον, ἐνάργεια), con sus partes (κεφάλαιον, περίστασις) o con los procedimientos de elaboración (ἐργασία); se recogen, de este modo, diferentes aspectos relacionados con la composición, aspectos que reflejan la actividad del estudiante en esta etapa de la formación retórica. La estructura de cada entrada depende de la naturaleza del término, pero los trece ejercicios preliminares (con la excepción del vituperio [ψόγος] en la relación de Aftonio) presentan el mismo esquema: denominación y definición; colocación en el currículo; clasificación: subdivisión interna en categorías; elaboración: desarrollo del ejercicio; disposición de los lugares de argumentación; estilo; y finalidad retórica del ejercicio. Aunque depende de cada término, se ofrece la doctrina de los cuatro manuales griegos conservados y de sus exégesis bizantinas como fuentes fundamentales, a la que se añaden otros autores griegos (fundamentalmente Aristóteles y Libanio, aunque de este último podría haberse sacado más provecho) y romanos (siendo Cicerón y Quintiliano los más relevantes). La doctrina se completa con la mención de la bibliografía crítica. Para una lectura seguida de la obra, la organización alfabética tiene una serie de consecuencias que pueden confundir a un lector no experto en la materia: la entrada de "ejercicios preliminares" (προγυμνάσματα/γυμνάσματα) se encuentra muy detrás de la mayoría de los ejercicios; si se procede a la lectura lineal del libro no puede apreciarse la dificultad creciente de los ejercicios y la progresión en la formación del alumno; están separados ejercicios relacionados entre sí (como γνώμη y χρεία, ἀνασκευή y κατασκευή, ἐγκώμιον y ψόγος) y se encuentran mezclados ejercicios preliminares y otros conceptos relacionados con ellos. No abundan tampoco las referencias internas que contribuirían a interrelacionar las voces naturalmente emparentadas y que quizá habrían evitado alguna que otra repetición. Estos pequeños inconvenientes no son atribuibles al autor, sino a la concepción de la obra como un glosario. Esta organización, no obstante, además de ser un enfoque original sobre el tema, tiene grandes ventajas, siendo la más importante la ingente información de las voces seleccionadas que se ofrece en un solo lugar, al incluir toda la teoría desde el s. I a.C. hasta época bizantina, con la inclusión de las fuentes primarias y de una amplísima bibliografía. El autor ha hecho una magnífica labor de revisión y recopilación exhaustiva de la bibliografía crítica, en la que no se echan en falta títulos importantes, salvo las traducciones al español de los Progymnasmata realizada en 1991 por Mª Dolores Reche Martínez y publicada por Gredos, y la de Nicolás de Mira a cargo de E. Redondo, publicada en 2007 por la Universidad del País Vasco. El libro se cierra con dos índices utilísimos: el de pasajes citados (pp. 321-333) y el de términos retóricos (pp. 335-343), en el que se distinguen los términos griegos de los latinos, se ofrece una traducción y una breve descripción de los mismos. Desde el punto de vista formal, la obra está muy cuidada y carece de erratas (quizá una sea la traducción al inglés del término εἰκών, p. 112). También son casi inexistentes los errores en la bibliografía final (por ejemplo la obra que aparece atribuida a R. F. Hock en el año 2009 se publicó en 2012, o, en la entrada de Heath 2002-2003, está incompleta la abreviatura de la revista Greek, Roman and Byzantine Studies). El material recogido en esta obra es muy abundante y de muchísima utilidad, y facilita al especialista el acceso al mismo de forma rigurosa y ordenada, con las fuentes primarias y secundarias perfectamente identificadas; al lector interesado le permite sumergirse en una teoría muy interesante e influyente, que puede ir asimilando progresivamente. Por todo lo señalado, estamos ante una obra de referencia obligada para los estudios progimnasmáticos. Bart Van Beek, The Archive of the Architektones Kleon and Theodoros (P. Petrie Kleon). Collectanea hellenistica, VII. Leuven: Peeters, 2017. Pp. x, 312. ISBN 9789042935006. €92,00 (pb). We are now eighteen years into what Peter van Minnen optimistically termed "the millennium of papyrology,"1 and despite the volume of recent papyrological publications,2 it is clear that we still have a gargantuan task before us. What Bart Van Beek makes clear in this volume is that the work is not only the editing of heretofore unpublished papyri but also the re-edition of papyri that were published in the earlier years of the "century of papyrology" (1892-1992).3 In this case, Van Beek's subject is the Petrie papyri, and in particular the archive associated with the two architektones Kleon and Theodoros. These men oversaw—among other things—the irrigation of the Fayum depression and the quarrying of stone for government works, all during an important phase in the development of the Arsinoite nome (ca. 260-238 BCE). This is an archive amply endowed with drama (threats of starvation, striking workers, and angry kings) and mystery, along with the nitty-gritty details of running an agency overseeing large numbers of workers in many locations around the region. The book, based on Van Beek's 2006 Leuven PhD with revisions and expansions, is a work long-awaited.4 It offers a single-volume resource that collects texts published previously in a number of editions—especially the Petrie Papyri volumes of Mahaffy (P.Petr. I and II) and Smyly (P.Petr. III), all published between 1891 and 1905—as well as some texts published here for the first time. The need for a re-edition and new analysis is clear, as "the three Petrie volumes are rather unsatisfactory and extremely cumbersome to use,"5 and are lacking in contextual discussion along with many now-standard papyrological aspects. In producing this volume, Van Beek has given us a work of real usefulness and erudition. In the introduction, Van Beek offers a brief overview of the Petrie papyri, scholarship on the architekton archive after its initial publication and an analysis of the archive as archive. This is accompanied by an extensive discussion of the irrigation and stone-cutting trades in Egypt and more specifically in the papyri. Van Beek quite helpfully includes an overview of "irrigation vocabulary in the archive," which offers a focused study exploring the terminology specific to the archive, to be read perhaps in conjunction with Bonneau's extensive but more general study.6 In these sections, Van Beek demonstrates the value of not only a re-edition of the Petrie papyri in general but of a more focused publication of specifically the papers of the architektones. It is perhaps unfortunate that there are not comparably thorough discussions of certain other topics in the introduction for a volume of this kind. For example, the discussion of the find context or collection history of these documents is brief. This will not be an impediment to those already familiar with issues of mummy cartonnage or the Gurob papyri (or who have access to previous scholarship on these texts) but may prove an impediment to non-papyrologists looking to understand this extremely rich archive. Similarly, there is very little discussion of the individuals involved in the archive.7 A more extensive introduction to the individuals and the wider context of the archive (perhaps akin to the discussion of hydraulic terminology in the archive) would help to situate the reader, especially one unfamiliar with the dramatis personae. This is certainly an archive that has quite a bit to offer those studying wider topics (water management, the stone-cutting trade, or labor conditions and unrest, to name a few), for whom a somewhat larger range of introductory material might be especially welcome. The organization of these texts is somewhat idiosyncratic. For instance, Van Beek writes that "texts 120-124 were added in 2016 by Clarysse and therefore placed at the very end of the volume," perhaps because the text had already been set. In addition, two letters concerning a theft from Theodoros' daughter are filed as "related correspondence" because they are not addressed to Theodoros and they do not concern his official duties and presumably sit uncomfortably between private and official. Many of the surviving documents reflect the day-to-day demands of the job. Text 39 is a lengthy letter concerning a team of irrigation workers who were grumbling about their supplies (not enough water or oil) and their work (having dug out 35 more schoinia than planned). Van Beek convincingly interprets a reference to copper mines as geographic (at the copper mines, rather than in the copper mines) making the texts preserved in this archive much more comprehensible, and showing the extent of the expanding irrigation network in this period (along with refining our understanding of what the architekton was and was not responsible for). While fragmentary, text 45 is alluring, with a reference to wickedness and worrisome whispers alongside discussion of someone digging out a pier (ekbateria). The difficult business of managing the work crews, their supplies, and their overseers creeps into other documents as well. In text 55, the foremen of a stone-cutting team write to Kleon that their supplies have not arrived, and threaten that the men will pawn their iron tools if the situation is not resolved. The level of tensions might be apparent from the abrupt close of the letter, where, as Van Beek puts it, "the authors have apparently forgotten the polite end greeting εὐτύχει" (line 11 n.). Texts 86-89, "registers of correspondence," richly evoke the varied and busy tasks especially involved in running the irrigation network. That payments were eventually made to workmen (despite the volume of complaints throughout the documents) can be seen from some records of payments, especially text 100, two small but reasonably intact fragments recording payments of grain and Syrian olive oil to stonecutters. The job also involved communication with colleagues and various interested parties. Text 19 is a letter from Zenon, overseer for Apollonios, to Kleon, providing a nice bit of connection between two important Ptolemaic archives from the Fayum, though the text itself concerns the opening of a sluice-gate. Correspondence between the two "stars" of the archive, Kleon and Theodoros, is quite rare (only two letters, 71 and 77) and both are extremely fragmentary—barely anything beyond the names themselves is preserved. The personal life of the two men also features in the documents, especially of Kleon. In one well-known letter (text 3) Metrodora writes to Kleon that she is "immensely frightened about how things will end up for you" after Ptolemy II "treated you harshly." Issues surrounding Kleon's employment and standing in the royal court reappear in a letter from his son, Philonides (text 11), which also tells us a bit about the seasonal variations in the architekton's workload. Unfortunately, of the six letters from Metrodora—some of which are assigned by hand—only one (text 3) survives in any length. The letters from Kleon's sons (texts 7-13, 15, and possibly 16) are somewhat better preserved and concern various aspects of the life of a prominent family, including one son's desire (text 13) to be introduced to the king, Ptolemy II. The introduction and texts are accompanied by a concordance for the texts involved, as well as the normal range of papyrological indices—dates, religious terms, personal names, titles, place names, measures and taxes, and a general word index. In terms of editing and presentation, there is relatively little to critique. Some small typographical errors do creep in.9 In addition, the referencing style can be fluid (P.Enteuxis and P.Ent. appear multiple times on the same page, e.g.) and some infelicitous phrases appear: in text 57, for instance, τά ἐλλείποντα σώματα προσκαταστήσειν is translated as "to supply the missing men lack." The text is for the most part clean and correct. I will leave discussions of particular readings to more specialized journals, but Van Beek's editions and emendations are reasonable and thoughtfully explained and presented. Many of the charts and maps are clear and finely reproduced, and the full-page color photographs of some of the papyri from the archive are especially excellent. Two maps (maps 4-5) are less crisply reproduced from their original source. The archive re-edited and published here by Van Beek amply captures the demands placed on the architekton, as well as the ability of the papyri to give us the dramatic and quotidian alike—often in the same text. This volume will prove the first stop for scholars interested in the archive, and a valuable resource for anyone studying the work of the architektones or the irrigation and quarrying industries. A somewhat more detailed, expansive introduction and discussion of the archive—alongside the excellent commentaries on individual texts—might have helped achieve the purpose of fully superseding previous editions and providing a broadly accessible resource for scholars working outside of Egypt. Nevertheless, Van Beek's erudition and careful approach have produced a valuable work, and one that will be the standard text on Kleon, Theodoros, and their fascinating archive for years to come. 3. P. van Minnen, "The Century of Papyrology (1892-1992), BASP 30 (1993), 5-18. 7. By way of example, the first six texts in the volume are sent by a certain Metrodora, who turns out to be Kleon's wife, resident in Alexandria, but this fact is little discussed. 8. Texts 16, 27, 29-31, 36, 43, 45, 47-48, 61, 63-64, 66-67, 70, 72, 76, 78, 82, 89, 98-99, 101-106, and 111-119. 9. Fischer-Bovet becomes the thematically appropriate Fischerboote in the bibliography, e.g., and the similarly German-inflected "Dachla-oasis" appears on a map. In addition, there are two Maps 3 and no Map 2. Lee L. Brice, Daniëlle Slootjes (ed. ), Aspects of Ancient Institutions and Geography: Studies in Honor of Richard J.A. Talbert. Impact of Empire, 19. Leiden: Brill, 2014. Pp. 354. ISBN 9789004283718. €138.00. Part of a wider series titled Impact of Empire, published by Brill, this volume contains essays written by former students and colleagues of Richard J.A. Talbert. As with all Festschriften, the volume begins with a thorough introduction of its real topic: Richard J. A. Talbert. Lee L. Brice and Daniëlle Slootjes regale the reader with Talbert's intellectual peregrinations in a chapter called "Chaps and Maps." Brice and Slootjes organized this chapter around the two themes that organized and framed Talbert's research, chaps and maps, and a thorough interest in primary sources and teaching. Talbert's first book, Timoleon and the Revival of Greek Sicily (Cambridge, 1971), emphasized the importance of Timoleon and the subsequent economic and political revival of Sicily. His second book, The Senate of Imperial Rome (Princeton, 1984), received the Charles J. Goodwin Award of Merit. This first systematic analysis of the functioning of the imperial Senate deeply altered the perception of the imperial Senate, from a stooge of an omnipotent emperor, to a corporation with very real responsibilities and its own set of procedures. Moving away from "chaps," Talbert engaged with ancient geography, culminating with his monumental edition, the Barrington Atlas of the Ancient World (Princeton, 2000), and continuing with a crucially important work on the Peutinger Map, Rome's World Reconsidered (Cambridge, 2010). Talbert's interest in teaching is identified by his involvement in the masterful textbook, edited with others,1 The Romans: from Village to Empire. Another one of Talbert's important achievement is the Pleiades "gazette," briefly mentioned (p.6), but used throughout the volume for illustrations (see p.9 for a list). There follows, as is traditional, Talbert's extensive bibliography made up of some 200 entries. The second half of the book is devoted to Talbert's other research interest, geography. The first contribution by Cheryl L. Golden illustrates the relationship between polis and geographical knowledge in Thucydides. The second contribution, by F.S. Naiden, makes an interesting and compelling argument: Alexander's peregrinations were not strategic; on the contrary, Alexander was simply ill-informed of the geographical features of Anatolia. Mary T. Boatwright then addresses the issue of Agrippa's map and visual representations in Rome. By setting Agrippa's map in its urban context in the vicinity of the Porticus Vipsania, Boatwright shows that Agrippa's map, while initially unique, would become simply one illustration in a sea of geographic information, which included monuments with depictions of barbarians like the column of Marcus Aurelius. Brian Turner discusses the acquisition and use of geographical knowledge by Velleius Paterculus and the importance that the provinces played in the organization of geographical knowledge. Not only was Velleius' interest in provincial history clear in his historical excursus, but he organized his geography of the Roman Empire based on the provinces and their location relative to one another. Jerzy Linderski's contribution is an interesting historical investigation. Cicero received a letter from his brother and Caesar posted from Blandeno, an unknown place. Where was Caesar? Linderski proposes that Caesar was in fact on the move when he dictated the letter. George W. Houston shifts the discussion away from geography to consider the physicality of telling time through a study of sundials. Noting both their lack of precision and their sparse distribution, Houston suggests that these sundials were not primarily time-telling devices but rather could be used as gifts or prestige items. John F. Donahue focuses on one aspect of geography: water springs. He demonstrates that spas were and would remain a central landmark in Roman geography. Lastly, Michael Maas moves us away from geography as organizing space to topography as organizing civilization. He identifies three phases in this development. First, there is the Greek phase, in which the environment dictated behavior; then the deterministic phase, in which the ability of humans to alter the environment became a marker of civilization; and finally, the Christian phase — which either embraced or denied classical environmental determinism— for which civilization necessitated conversion of erstwhile uncivilized populations to guarantee salvation. The volume as a whole speaks, very broadly, to the organization of human space in the ancient world. Part I describes over and over the relationship between institutions and individuals; Individuals make up institutions, but institutions alter and mediate behaviors. This is made abundantly clear in Fagan's article on the ludi while Slootjes' article shows that the institution of the diocese was incomplete in the fourth century since individuals had not yet been affected by it. The second part focuses on the organization of space and time, the evolution of knowledge, and its organization. Contributors highlight the fundamentally social nature of chronological and geographical space, from the fact that, in Boatwright's contribution, the Regio VII could become a microcosm of socially-acceptable imperial representations, to the liturgical role that sundials played. The volume achieves three distinct objectives. First, by adopting a diachronic approach, the editors encourage the reader to draw connections across time and discipline. For instance, Slootjes' article finds an echo in Turner's; likewise, Bond and Boatwright both address the evolution and transformation of physical space albeit in different ways. Second, while this volume, as is typical with Festschriften, demonstrates an extraordinary diversity in topics, each article remains extraordinarily accessible. As such, even non-experts would find a starting point for further exploration. Third, Talbert's scholarship is a part of each paper, demonstrating further his broad influence on scholarship of antiquity. Scholars, though their interests may range from Alexander's wars to late-antique dioceses, will find something of value in this volume, not just in their area of expertise, but in others as well. Much like Talbert's many important contributions, this volume should find itself in libraries of ancient historians and philologist of extremely diverse interests. Brice, Lee L. and Daniëlle Slootjes, "Chaps and Maps: Reflections on a Career with Institutional and Cartographic History," 3-11. 1. Mary T. Boatwright, Daniel J. Gargola, Noel Lenski, Richard J.A. Talbert, The Romans: From Village to Empire, 2nd ed. (Oxford: Oxford University Press, 2011). 2. One additional point that might be of interest is that the Itinerarium Burdigalense is both a personal travel document and an administrative one, probably coming from the cursus publicum. Thus, while the dioceses retained a central administrative role, administrative documents sent by the chancery to subjects of the Roman Empire did not acknowledge their existence. Celestina Milani, "Strutture Formulari nell, 'itinerarium Burdigalense' (a. 333)," Aevum 57.1 (1983): 99-108. 3. Incidentally, this would become the topic of J.A. Talbert, Roman Portable Sundials: the Empire in your Hand (Oxford: Oxford University Press, 2017). Toni Ňaco del Hoyo, Fernando López Sánchez (ed. ), War, Warlords, and Interstate Relations in the Ancient Mediterranean. Brill's Impact of Empire Series, 28. Leiden; Boston: Brill, 2018. Pp. xiv, 504. ISBN 9789004354043. €130.00. Sixteen years ago, J.E. Lendon published a still impactful review of scholarly attempts to explain ancient foreign relations. 1 In a vintage Lendonian metaphor involving battleships and submarines (! ), two schools of thought emerged from the fog. The primitivists relied upon a kind of anthropological lens, sought to avoid the employment of modern assumptions, and argued for the primacy of culture. Modernists or Realists descended from Thucydides, understood that power and fear were calculable constants, and left less room for humanity's other variables. The collection of articles in War, Warlords, and Interstate Relations, the twenty-eighth volume in Brill's well-respected Impact of Empire series, illustrate the continued relevance of the Realist approach, even as it exists in a very different world than the one in the mid- twentieth century that made Thucydidean calculations so appealing, and, perhaps to some, even comforting. That said, many of the volume's contributors readily admit the various pitfalls that run alongside a strict employment of Realist theories on our ancient evidence and as a result they reveal a more nuanced treatment of war in the ancient world. Warlords publishes the results of the 2013 ICREA Conference on Multipolarity and Warlordism in the Ancient Mediterranean, cent. 4-1 BC, held at the Museu d'Arqueologia de Catalunya (Barcelona). In the first chapter, the editors explain the contributors' employment of social science lenses. The first, multipolarity, recognizes that various states contend with one another in largely anarchic interstate systems. The second, warlordism, is, it turns out, much harder to define, although "a ruler who draws on military force and somehow lacks legitimacy," (Coşkun's definition, 204), might be the most inclusive, even if most open-ended option. With varying conclusions (discussed below), each individual contributor dealt with the problems associated with the definitions of these concepts as well as their applicability. The editors, meanwhile, set the volume within its historiographic context, especially in regards to William Harris' forceful critique of the Realist school in his 2016 survey Roman Power. 2 Harris, like others before him, feared (or recognized) a modern "political science doctrine" that tended to relieve states of the consequences of violent and imperial actions. 3 What makes the present volume so thought-provoking is that the emergence of warlords as an analytical concept challenges the strict Realist interpretation of the multipolar world that tends to view states equal in motivation, even if unequal in capabilities. In other words, Warlords forces us to reconsider our understanding of the ancient state and the complexity of interstate relations in the ancient world. After the Introduction, the rest of the volume is divided into three parts. The first explores Achaemenid Persia, Fourth Century Greece, and Carthage. Christopher Tuplin connects the concept of warlords with the employment of mercenaries during the Achaemenid period and suggests a link between the use of mercenaries and warlordism. Next, Polly Low challenges the zero-sum, for the-state-or-against-it conception of 4th-century BC Greek military leaders. According to Low, these warlords operated within a "complex network of intra- and inter-state interactions" (51). Daniel Gómez-Castro views the Spartan Lysander as a warlord who accepted and even encouraged violent conflict to fulfill his own goals, which happened to coincide with the goals of the Spartan state. Nicholas Sekunda argues that mercenary leaders like Iphicrates should not be classified as warlords because they tended to serve the interests of the state. This theme is continued in the contribution of José Pascual González who examined the impact warlords, or rather military commanders, had on their own states during the fourth century BCE. Finally, the last two chapters in this section take the reader away from Greece and consider the Phoenician world. Manuel Álvarez Martí-Aguilar reassesses a passage from Trogus to illuminate a "colonial network based on Tyrian identity" (115) that helps explain Punic imperial expansion in a multipolar Mediterranean world. In this section's final contribution, Louis Rawlings illustrates the impact of the relationship between the Carthaginian state and the warlords the Carthaginians encountered during their imperial expansion. The second major section covers the Hellenistic Age and the Roman world. Fernando López Sánchez employs the concept of warlordism to illuminate how peripheral powers (Gaulish chieftains) influenced central powers (Hellenistic monarchs). In a piercing contribution challenging the defining terminology used in the volume, Altay Coşkun compiles and analyses a group of warlords from Hellenistic Anatolia. While admitting the difficulty of using such precise terminology, Coşkun recognizes the benefit of such studies for challenging the legitimacy of the state's use of violence. Arthur Eckstein employs precise definitions of power from the field of International Relations to argue that Roman involvement in Greek affairs from about 188 to 168 BCE amounted not to empire but "merely a 'sphere of influence'" (236). Craige Champion then concludes that from the Greek perspective many second century BCE Roman commanders could or would have been viewed as warlords. Like López Sánchez and Coşkun above, Champion nicely illustrates that the perception of the ancients matters as much as, or at least, greatly influences, any attempts we may now make to define the warlord. John Rich and Nathan Rosenstein next discuss the concept of warlordism within the Roman Republic. Rich cautions against the current line of thinking that archaic Rome was dominated by aristocratic warlords and their bands of followers.4 He also argues that in its prime, "the Republic's own institutions and ethos kept it secure from warlordism" (276). Rosenstein, meanwhile, wonders why no warlords appeared to emerge in Rome between the 4th and 2nd centuries BCE. Employing a similar methodology to Eckstein, above, Michael Fronda and François Gauthier conclude that in Italy prior to the Second Punic War Roman power is best described as a "sphere of influence" rather than a true empire. As a result, Roman and Italian actions during the Second Punic War appear as a "kind of regional warlordism" (309). Eduardo Sánchez Moreno, much like López Sánchez and Coşkun, illustrates the role of peripheral actors, in this case the Lusitanians in the multipolar Mediterranean world. Sophia Zoumbaki, in an analysis of the career of Sulla, and Toni Ňaco del Hoyo and Jordi Principal, in a review of Sertorius' actions in Spain, illustrate the applicability of the concept of warlord within the interstate system that existed at the beginning of the first century BCE. Finally, in wrapping up this section, Boris Rankov recognizes the interconnected relationship between soldiers and their generals in the late republic and examines how that species of warlordism influenced the early imperial army's systems of units, ranks, and rewards. His chapter nicely illustrates that in the ancient world, warlords could field what we might consider professional armies, rather than the ragtag group of disenchanted adventurers that the modern imagination may conjure. The final section, A Necessary Epilogue, offers two comparative case studies. Jeroen Wijnendaele shows how warlords dominated the geopolitics of the western empire in the mid-fifth century CE. The chapter emphasizes a growing rift between these warlords and the central state, along with its apparatus, in terms of the legitimacy of power. Finally, Rafael Grasa places the concept of warlordism in a modern, especially post-Cold War context. He ultimately challenges the reader to question what is thought about the (state's) legitimate use of violent power. Readers will find many engaging and interconnected discussions throughout the volume, but here I will emphasize two. At the heart of every contribution lies a simple question: why do some people follow others in the collective acts of violence we call war? Remarkably, Tuplin (29) sees little evidence that charisma was an important arrow in the warlord's quiver. Low recognized that loyalty to the state could be confusing, while Gómez-Castro questions whether Lysander was competing with the Spartan state or serving as an arm of it. Sekunda's study of the recruitment of mercenary units (often to serve at the behest of a warlord) could render an argument for small-unit cohesion as it illuminates the loyalty of recruits. Pascual Gonzàlez recognizes that the military leaders of fourth century Greece ostensibly led political factions that were based upon family, wealth, and hierarchy. Rawlings sees the lure of power that existed outside the regular civic offices, especially as developed through personal relationships. Coşkun, meanwhile, sees a role for charisma and rewards (loot, land, promotion, or honor) as motivation for service. Rankov, in a different kind of argument for a different kind of army, suggests a similar set of motivations. Rich, meanwhile, proposes that republican institutions and values explain Roman loyalty or at least its endurance. Ultimately, what we find repeatedly are scholars working to identify the boundaries between private and public allegiance. And this brings up a second major theme. Several contributors question the form and formulation of the ancient state and its assumed monopoly on the legitimate use of force (see Low 38; Coşkun 220; Ňaco del Hoyo and Principal 395). Many contributors exclaim (the seemingly obvious point) that the modern state did not exist in the ancient world (see Low 38; Gómez-Castro 55; Coşkun 217; Champion 234; Rosenstein 295). While introducing the dualities of citizenship that existed in the federal states of the fourth century BCE, Pascual González, perhaps, best illustrates the issue by bluntly asking: "[w]hat kind of state are we talking about?" (90). If the ancient state was somehow different than the modern one, how can modern theoretical concepts explain ancient events? In the end, the arguments presented here invite more case studies, or indeed monographs, challenging the nature of the ancient state and warfare, not only within the chronological and geographic bounds set by this volume, but far beyond them. In particular, comparisons with other ancient sites (say Warring States China) may help illustrate the applicability of the theoretical framework that has been employed. Furthermore, I see no reason why, as was done in this volume, we should stop such studies at the advent of the Roman imperial period. There seems to have been various individuals that could be considered warlords, if they were not already considered rebels or insurgents.6 Ultimately, the present volume succeeds most when it moves past such narrow and precise definitions. It is where concepts and theories are used to provoke and challenge rather than delineate and determine that historians open doors to further research that will challenge what we have come to think of as the standard narrative about ancient military and imperial history. 1. J.E. Lendon, "Primitivism and Ancient Foreign Relations," The Classical Journal 97.4 (2002): 375-384. 2. W.V. Harris, Roman Power: A Thousand Years of Empire (Cambridge: Cambridge University Press, 2016). 3. Harris, Roman Power, 42-3, and see his associated notes and bibliography. 4. See J. Armstrong, War and Society in Early Rome: From Warlords to Generals (Cambridge: Cambridge University Press, 2016), and F. Drogula, Commanders and Command in the Roman Republic and Early Empire. Studies in the History of Greece and Rome. (Chapel Hill: University of North Carolina Press, 2015). 5. See, for example, J.E. Lendon, "Xenopon and the Alternative to Realist Foreign Policy: "Cyropaedia" 3.1.14-31," The Journal of Hellenic Studies 126 (2006): 82-98. 6. T. Howe, and L. L. Brice, Brill's Companion to Terrorism and Insurgency in the Ancient Mediterranean. Brill's Companions in Classical Studies: Warfare in the Ancient Mediterranean World (Leiden: Brill, 2016), and in that volume, note B. Turner, "From Batavian Revolt to Rhenish Insurgency," 282-311. Andreas Michalopoulos, Sophia Papaioannou, Andrew Zissos (ed. ), Dicite, Pierides: Classical studies in honour of Stratis Kyriakidis. Cambridge: Cambridge Scholars Publishing, 2018. Pp. xv, 438. ISBN 9781527502888. $89.32. This volume is inspired by and celebrates the work of Stratis Kyriakidis, Emeritus Professor of Latin Literature at the Aristotle University of Thessaloniki, and offers a rich assortment of scholarship on classical literature, ranging from Homeric epic and the works it spawned in a number of genres, to 17th-century English translations of Virgil's Aeneid. In the words of the editors Andreas Michalopoulos, Sophia Papaioannou, and Andrew Zissos, this collection of essays "is a testament to the impact Kyriakidis has had not only as a scholar and teacher, but also as a colleague and friend" (p. 18). As such, it admirably fulfils the editors' desire to celebrate the work of the honorand. As is to be expected in such a volume, the opening pages include a short biography of the honorand (pp. 1-13) and a list of his publications (pp. 14-17): memorialised in this way, he will not be forgotten by later generations. There follows an introduction by the three editors, who summarise the essays which follow (pp. 18-23). The remaining sixteen chapters are divided into two parts: Greek Literature (chapters 1-6) and Latin Literature, covering the biggest part of this collection (chapters 7-16). The first part opens with David Konstan's "Image versus Narrative: Ecphrasis in the Classical Tradition". Konstan examines a re-definition of the ancient term ecphrasis, applied to any vivid description, in which what is crucial is the ability to make the scene come alive as it was visible to the eye (enargeia), and suggests that "ecphrasis" existed in a coherent or self-conscious way. The article begins with the description of Achilles' shield in the Iliad (18.590-606): in Homer's description pictorial representation stops time, indicating motion only by suggestion in scenes with a progression. However, in Hesiod's description of the shield of Heracles (216-236) narrative comes to an ending and represents life-like figures, though one must notice that there is complete absence of temporal markers in the description of local scenes. In Aeschylus' Seven against Thebes (385-90) Konstan emphasises the significance of the images which are accompanied by inscriptions or quotations of the warrior's boasts. In Moschus' Europa (211-15), a series of images centred on a single story, that of Io, are meant to be viewed sequentially: the ecphrasis threatens to compete with the frame narrative, relating a complete action or praxis and thus restoring temporality to the pictorial images. In the Latin example, Catullus' epyllion 64 reflects the boundaries between image and word and offers a description of embroidered scenes reverting to straightforward narrative and speech. Finally, Lucian's Zeuxis depicts two different scenes: a painting and a battle. Konstan indicates here the contrast between the two descriptions: there is a big difference between an ecphrasis and vivid evocations of other types of scene. In chapter 2 ("Etymologising Helen"), Tsitsibakou-Vasalos explores the complex and ambiguous figure of Helen, underlining the potential meanings behind her name for artistic and dramatic purposes: Hesychius (ε 1992) attests to Helen's religious and medicinal associations on the epichoric (or regional) level (cf. the Heleneia, and helenion). Pollux (Onom. 10.191.1-3) associates helene with a ritual (cf. Elenephoria). Modern scholars look for Helen's name in a variety of traditions including Minoan, Indo-European, Spartan, and Rhodian (cf. Curtius, Pokorny, Frisk, Lindsay, Watkins, Clader, Skutsch, and Edmunds). Finally, in the Homeric epics, a number of proper names occasionally toy with possible meanings: the heroine is highly connected with loss, destruction, and metis "cunning", while in later literature Helen is connected with cosmic light and to a genealogy from sun or moon. In chapter 3 ("Τὸν πάντα δουλεύσω χρόνον: Barbarians in Menander Reconsidered"), Petrides attempts a re-consideration of the figure of the barbarian in the New Comedy of Menander. First, the chapter offers a comparison of Menander's barbarian with Aristophanes and tragedy: Old Comedy includes the non-Attic foreigner as distinct from the barbarian proper in its iconography of the "ethnic Other", while in tragedy the "ethnic Other" is taken to be a self-referential construction of Athenian insiders addressing their peers (cf. logoi). In New Comedy, the "ethnic and cultural Other" is in short supply: protagonists, language, mores, and ideology are expressly Atticised, though Petrides considers that Atticisation doesn't preclude the barbarian's othering (p. 73). Stock types of non-Athenian or barbarian characters are incidental or renovated and the barbarian as an ethnological category is represented by slaves of non-Greek extraction (cf. the mercenary soldier in Dys. 218-28). What is more, it is observed that the Self and the Other are sidelined in favour of a scala naturae, a hierarchisation of beings on the vertical axis (Peripatetic ethical principles). Petrides concludes his article referring to a contradiction of "character" and "type" brought forth by the mask of a slave. In chapter 4 ("The Strymon Vying with the Nile: Literary Implications in T. Geminus' Anth. Pal. 9.707"), Plastira-Valkanou presents the figure of Geminus, who embellishes the Garland of Philip like melilot (AP 4.2.9): in his epigrams we may note the predominance of epideictic pieces on works of art with topics from history or the natural world (p. 91). Plastira-Valkanou offers a metapoetic reading of AP 9.707: two rivers, the Strymon and the Nile, dominate the epigram, which is constructed around a double comparison of the Strymon to the sea and to the river Nile. The author stresses the Strymon's fertility as a literary symbol of a new generation of poems from Macedonia: many allusions to Geminus' own aesthetic program invoke a Callimachean metaliterary figure in order to overturn it (cf. small-scale over large in Geminus, p. 104) and extol Macedonian poetic production, exhibiting an independent poetic spirit. Chapter 5 ("Personal Names in Antonius Diogenes' Incredible Things beyond Thule") explores personal names, an interesting area of research for the Greek novels, allowing us to connect the text with the real world and affording us a glimpse into the author's conception of the plot through the use of speaking names (cf. also the intertextual play with literary tradition). Ruiz-Montero recognizes two ethnic groupings or "lines": the Arcadian line (Deinias, Demochares, Cymbas, Erasinides, Ceryllos, Carmanes, and Azoulis) and the Phoenician line (the family from Tyre and the characters related to them). The author concludes that Diogenes, a polymath, uses mostly real names, though he provides his characters with names that suited his work as a "comedy" and as a utopian travel narrative with erudite and exotic material. In chapter 6 ("Agonistic Perspectives in the Orphic Argonautica", Karanika draws attention to the agonistic I of the narrator and the creation of a new literary space in the Orphic Argonautica (OA). This essay focuses on the intertextual allusions that establish Orpheus as an agonistic figure, representing the authorial voice with sensitivity and displaying a deep knowledge of both the Greek and Latin epic traditions. Orpheus' agonistic spirit in OA is evident in the scene of his agon with the Centaur Chiron (406-12) and his song contest with the Sirens (1270-1275). Orpheus is a sui generis hero and the OA's style not only resonates with the Apollonian and thus Greek epic tradition of the Argonautic journey, but also engages with the poetics and aesthetics of Roman poetry as well (cf. Ov. Met. 10.148- 152). In chapter 7 ("Disease, Closure and Lucretius' Sense of Ending"), Kazantzidis concentrates on one aspect of De Rerum Natura's architecture, reflecting what we might call Lucretius' "closural anxieties": the three closing sections of Lucretius' poem (6.1138-1286, 3.1053-1075, 4.1030-1287) have in common the idea of disease (morbus), a sign of deterioration and decline towards an end, and this disease gradually loses its metaphorical value, acquiring a literal meaning instead. In chapter 8 ("The Happiness of Love in Roman Comedy and Elegy"), Maltby examines expressions of happiness and exultation by successful lovers in Roman elegy (cf. Prop. 2.14, 2.15, Ov. Am. 2.12.9-16, Tib. 1.3.83-92) and suggests that Roman comedy, especially the comedy of Terence, played an important role in the development of Roman love elegy. The next five chapters explore different literary aspects and intertextual allusions to Ovid's poems: in chapter 9 ("The Chronology of Ovid's Career"), Harrison reconsiders Ovidian chronology from a more literary angle than the perspective of prosopography and the potential historical allusions of Syme's monograph History in Ovid (1978). In chapter 10 ("Ovid and Catullus: The Silence of Time"), Ziogas describes Catullus' presence in Ovid's poetry, creating a unique tension between tradition and innovation. Catullus has blurred the boundaries between myth and reality, and Ovid, on the other hand, draws attention to the continuity between Catullus' mythological and personal names. In chapter 11 ("Boreads and Boar Hunters: Cataloguing Argonauts in Metamorphoses 6-8"), Gildenhard and Zissos look beyond Medea, to consider those very heroes who on her account have been partially or completed elided from Ovid's Argonautica, namely the Argonauts themselves, while in chapter 12 ("Revisiting the Composition of the Calydonian Catalogue: Ovid, Met. 8.298-328"), Papaioannou actually supplements the previous chapter and offers a meticulous survey about the catalogue of heroes participating in the Calydonian Boar Hunt in Ovid's Met. 8.298-328 (cf. the alphabetic tabulation of the four literary enumerations: Ov. Met. 8.298-328, Hyg. Fab. 173-74, Apollod. 1.8.2, Paus. 1.42.6, 8.45.6-7, pp. 252-55). Finally, in chapter 13 ("The Advent of Maiestas [Ovid, Fasti 5.11-52]"), Garani examines the invocation to the Muses in Ovid's Fasti for the first time at the beginning of Book 5, as part of an authorial inquiry into the derivation of the name May (cf. the concept of Maiestas). In chapter 14 ("Exploring the Boundaries Between Human and Monstrous in Seneca's Phaedra"), A. Michalopoulos examines the role and the significance of the wild and the monstrous in Seneca's Phaedra for the development of the plot and the way in which Seneca exploits them for the depiction of his characters and for the needs of his play. He also explores the interaction between the human and the monstrous, which constitutes a major thematic thread in this play. In chapter 15 ("Catalogues in the Corpus Priapeorum"), C. Michalopoulos presents a critical assessment of the nature and the function of catalogues in CP, based on the comparison of Priapus with the Olympian gods. Furthermore, the author draws upon Kyriakidis' study of catalogues of proper names in epic poetry; his analysis concentrates on proper name catalogues, with the sole exception of CP 51, which consists of common names. Finally, in chapter 16 ("English Translations of Virgil's Aeneid, Chaucer to Wordsworth"), Hardie, the co-editor of the book series Pierides: Studies in Greek and Latin Literature along with Kyriakidis, explores the history of translations of the Aeneid in English: translators cover a range of topics and tend to have a stake in the theology and politics of the poem (he begins his survey with Chaucer's House of Fame and ends with the translation of Wordsworth in the nineteenth century). Overall, over the course of an academic career spanning four decades, Kyriakidis has inspired dozens of students, helping them to discover and pursue their particular interests. The collection constitutes a memorial both to Stratis Kyriakidis and to his friendship with and generosity to his colleagues and students, who are the authors of the individual papers. The sixteen chapters within offer fresh insights and thoughtful readings of a variety of works of classical literature, as well-known as the Iliad and the Aeneid and as exotic as the epigrams of Geminus. The volume is coherent and covers many aspects of Greek and, mainly, Latin literature. It is a valuable source not only for scholars or students, but also for anyone who wants to study Classics in general. 1. Image versus Narrative: Ecphrasis in the Classical Tradition. David Konstan. 2. Etymologising Helen. Evanthia Tsitsibakou-Vasalos. 3. Τὸν πάντα δουλεύσω χρόνον: Barbarians in Menander Reconsidered. Antonis K. Petrides. 4. The Strymon Vying with the Nile: Literary Implications in T. Geminus' Anth. Pal. 9.707. Maria Plastira-Valkanou. 5. Personal Names in Antonius Diogenes' Incredible Things Beyond Thule. Consuelo Ruiz-Montero. 6. Agonistic Perspectives in the Orphic Argonautica. Andromache Karanika. 7. Disease, Closure and Lucretius' Sense of Ending. George Kazantzidis. 8. The Happiness of Love in Roman Comedy and Elegy. Robert Maltby. 9. The Chronology of Ovid's Career. Stephen J. Harrison. 10. Ovid and Catullus: The Silence of Time. Ioannis Ziogas. 11. Boreads and Boar Hunters: Cataloguing Argonauts in Metamorphoses 6-8. Ingo Gildenhard and Andrew Zissos. 12. Revisiting the Composition of the Calydonian Catalogue: Ovid, Met. 8.298-328. Sophia Papaioannou. 13. The Advent of Maiestas (Ovid, Fasti 5.11-52). Myrto Garani. 14. Exploring the Boundaries between Human and Monstrous in Seneca's Phaedra. Andreas N. Michalopoulos. 16. English Translations of Virgil's Aeneid, Chaucer to Wordsworth. Philip R. Hardie.